Let us help you boost your social media presence with custom content. Our social media campaigns are a great way to grow your online audience and support interaction with current customers. 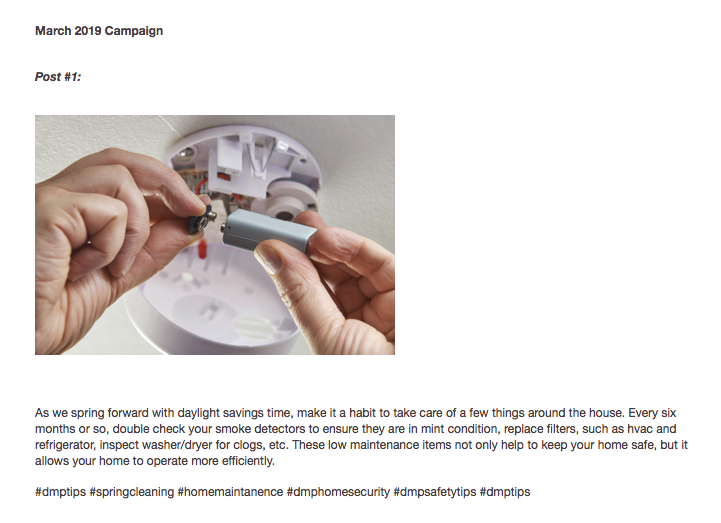 Our latest social media campaign focuses on specific features and tips that cater to your residential customers with an emphasis on home automation. It consists of 5 separate posts - complete with photographs and short paragraphs to grab attention and provide additional information. Visit www.dmp.com/socialmediacontent to view all the posts and image examples. You can use this content to create your own fresh posts, or you may share the posts directly from our DMP social media pages. 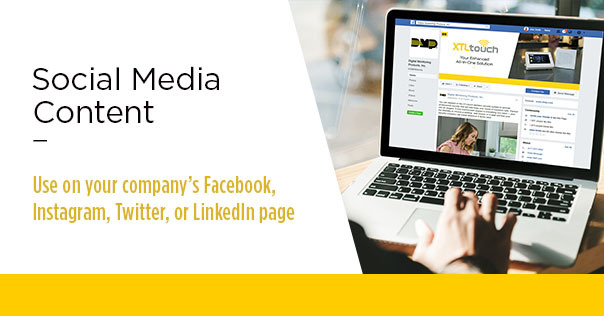 With each campaign, we will release the posts one at a time on our own DMP Facebook page, DMP Twitter account, DMP LinkedIn company page, and DMP Instagram account. Please follow us on each account so you can have easy access to Like, Comment, and Share each post. In case you missed our previous campaigns, visit www.dmp.com/socialmediacontent to view all current and archived social media campaigns and corresponding posts. On the DMP Social Media Content web page, we have provided example images. Please feel free to use any image of your choosing that will grab your reader's attention. We also highly recommend boosting the posts on Facebook to drive new followers to your page. A few advertising dollars a day could result in big ROI from new customers. If you have any questions, please contact DMP Marketing at (417) 831-9362 or at marketing@dmp.com.